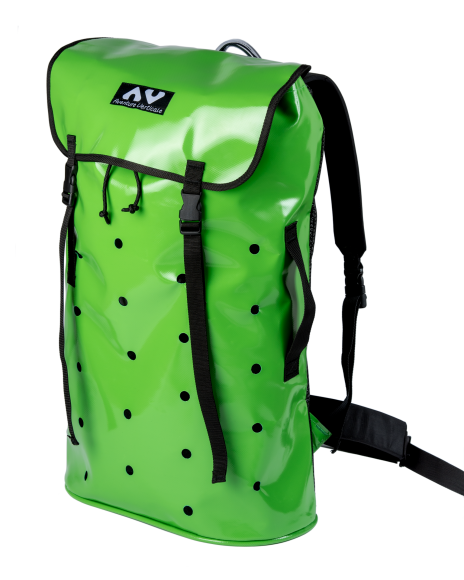 Bag for canyoning in varnished 1100 dTex PVC. Round holes on the bottom and on full height for an immediate evacuation of the water. 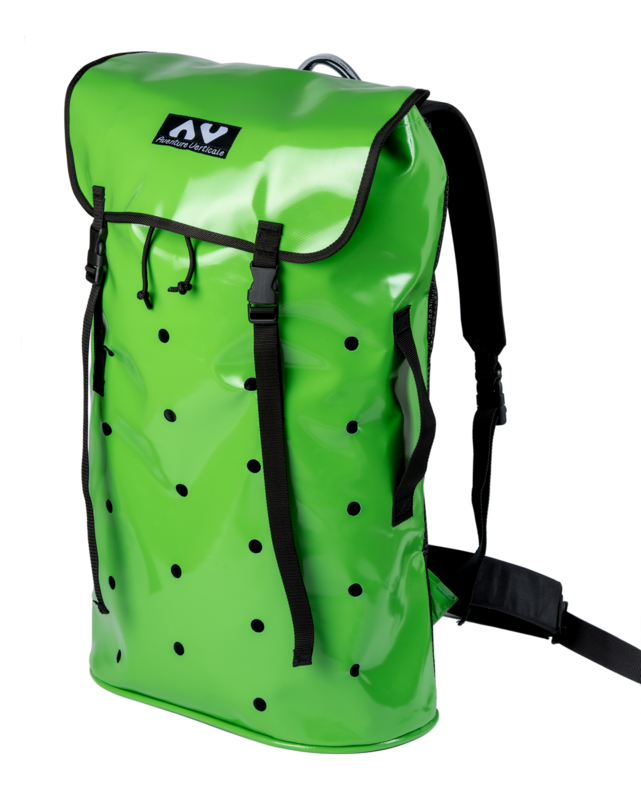 Bottom with stitch protective piping in Hypalon®, specially designed to contain 6L water-cans in upright or lying position. Models with exterior flap : additional fastener on the front with 2 clipped tightening straps.